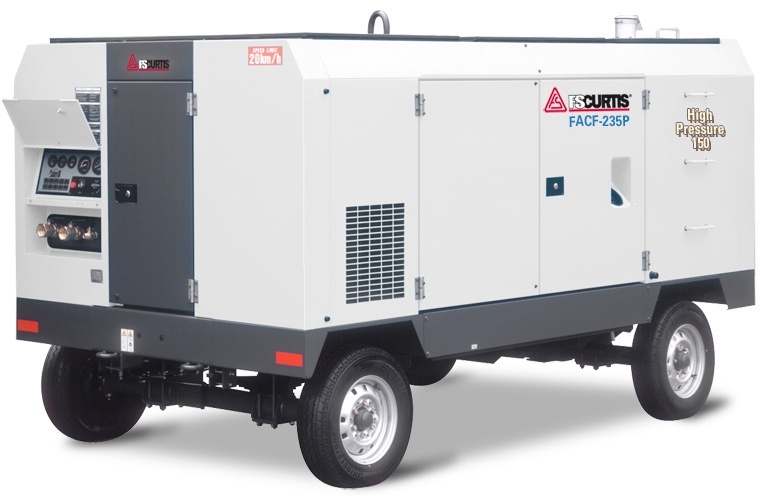 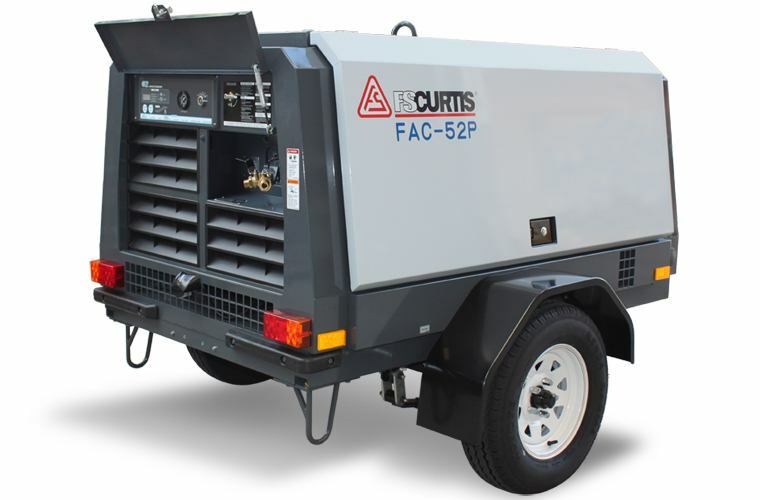 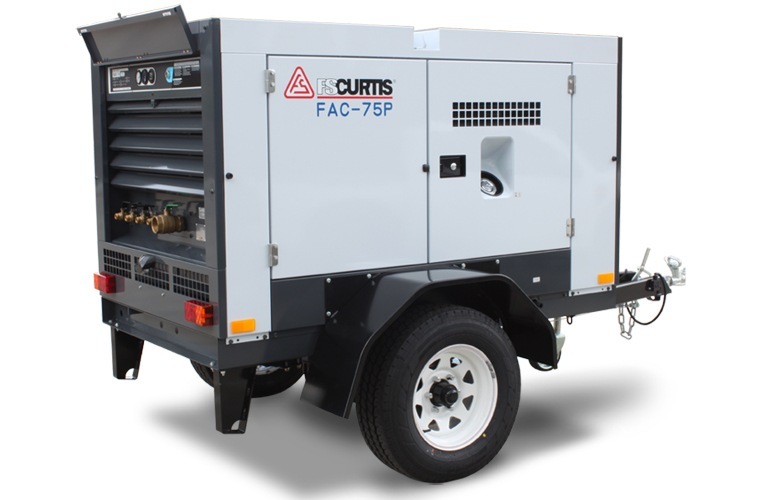 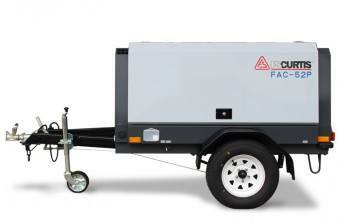 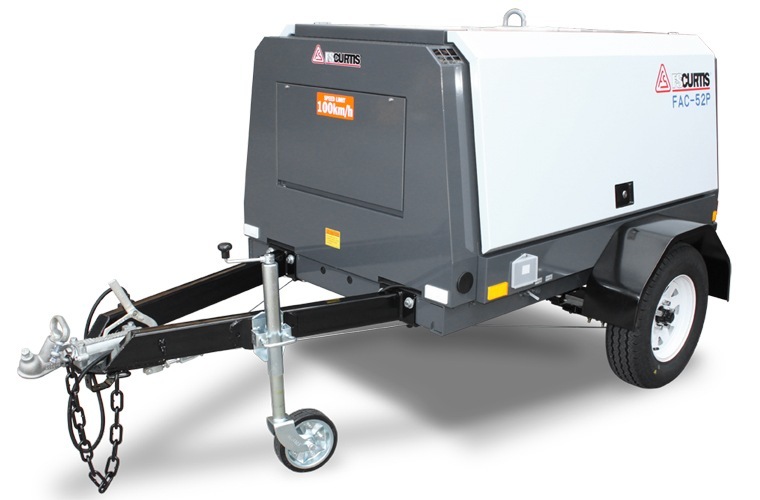 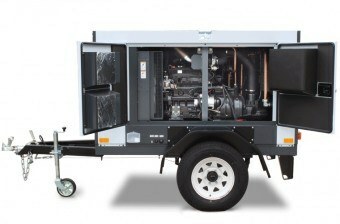 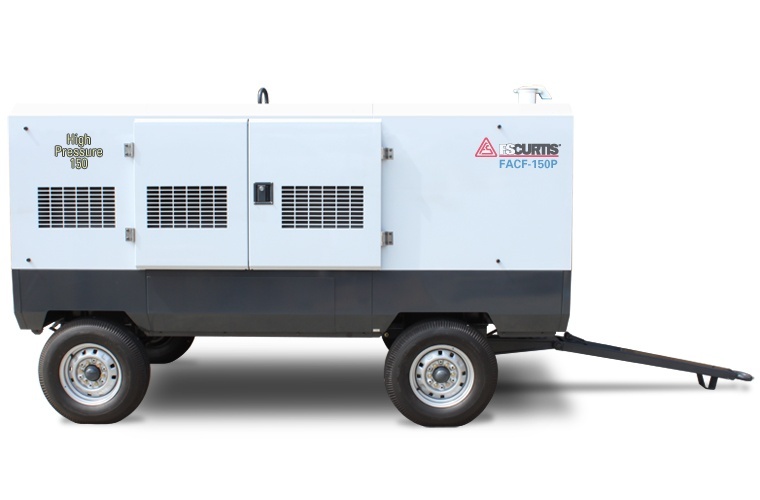 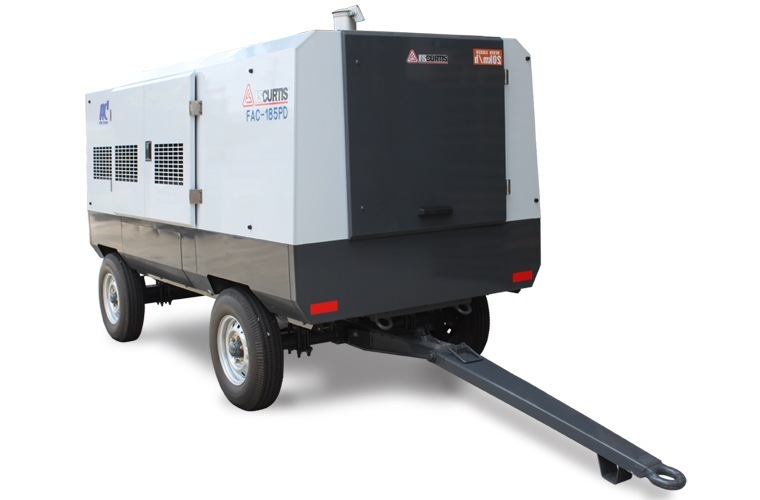 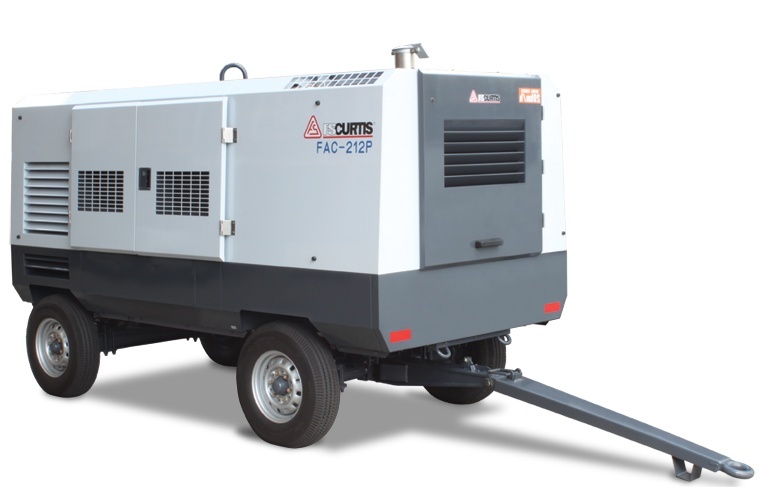 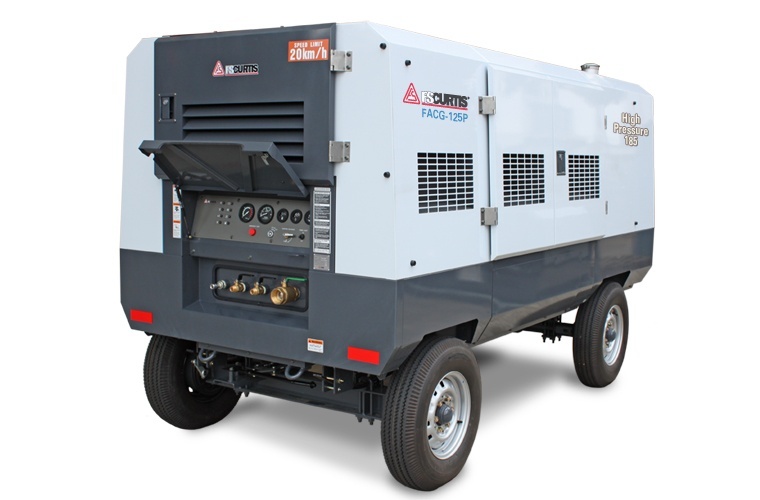 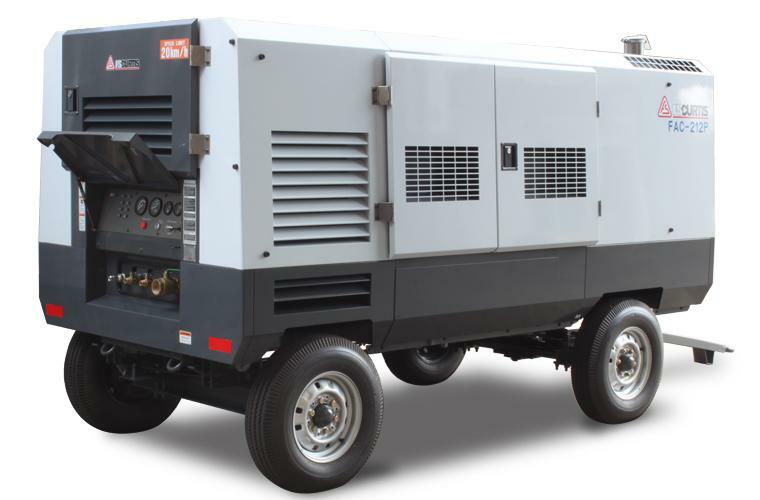 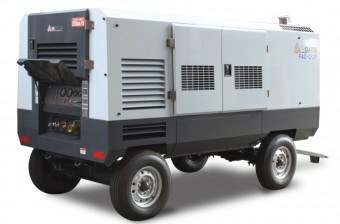 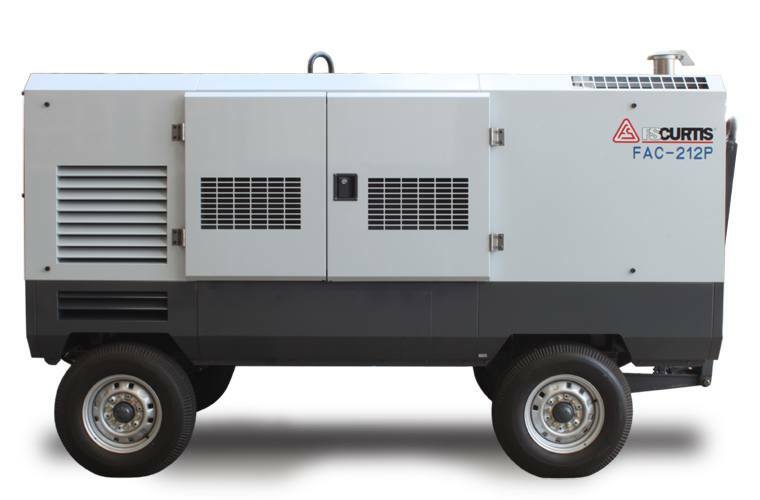 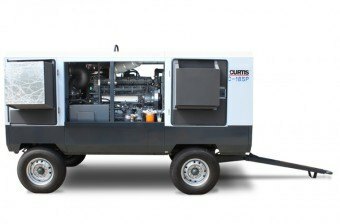 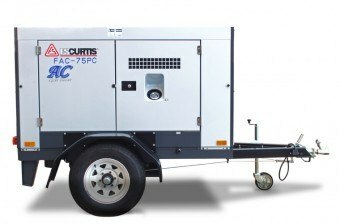 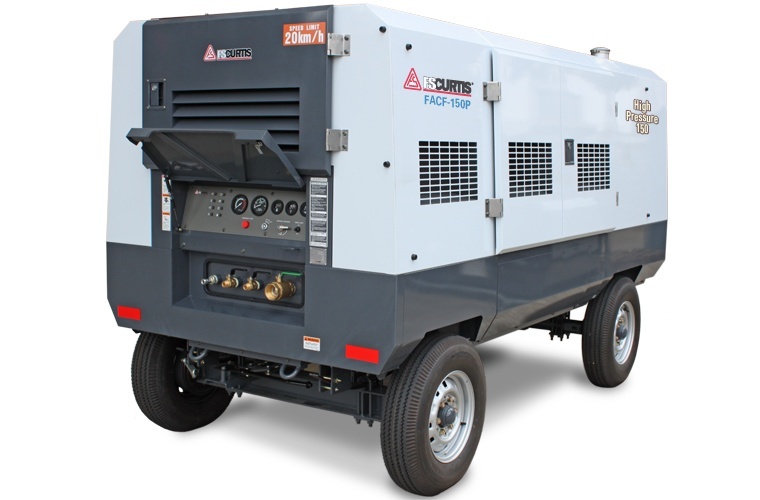 FS-Curtis FAC Series trailer type, portable diesel air compressors are designed for towable mobility. 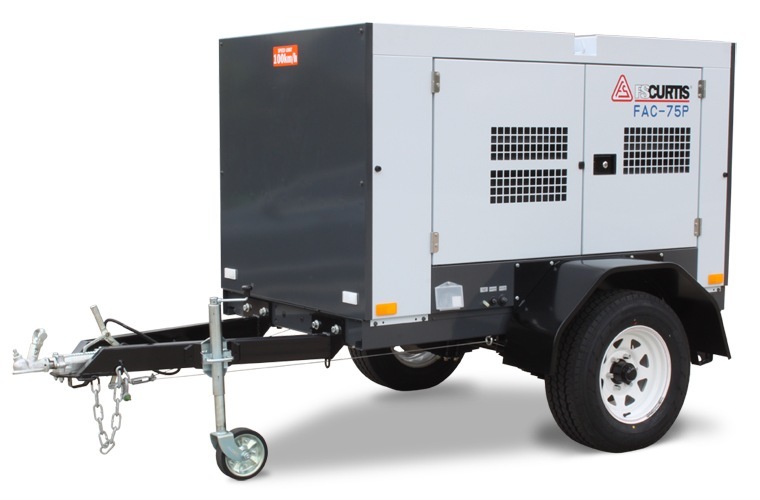 Choose from single axle on-road models up to 11 m³/min or larger dual axle off-road models up to 28.3 m³/min. 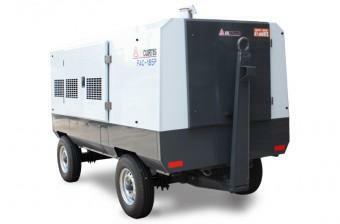 They are easily convertible into box type configuration if required. Made in Japan.